As the cricket season has just begun we have compiled a list of cricketing Arsenal footballers. As befits a club who were formed out of the Dial Square cricket team, Arsenal have had many dual code players. Also, at the time of founding in 1886, Woolwich was part of the county of Kent, a once great cricketing team particularly just prior to World War 1 and the during the 1970s. David Danskin, the first Arsenal football captain, was a prominent member of the Dial Square cricket club, though the pitches they played on at Plumstead Common were a world away from the surface used by Arsenal’s best cricketer Denis Compton when he batted at Lords. Within the list of Arsenal cricketers, not all necessarily played cricket while at Arsenal, but they all played to County standard and appeared at some point for Arsenal. In addition to these players the Hill-Wood family had close links to Derbyshire CC from the Victorian period to the swinging sixties! Three Arsenal players are present in the elite group of 12 men who have had the honour of representing England at full international level in both Football and Cricket. Wally Hardinge: Woolwich Arsenal 1913-1921 and Kent 1902-1933. He was an inside forward and all-rounder: opening bat / spinner. 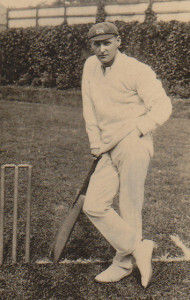 Hardinge appeared for England at both Football and Cricket just once, in 1910 and 1921 respectively. A prodigious run scorer for Kent throughout his 623 game career he won County Championship winners medals in 1906, 1909, 1910 & 1913, and played until he was 47. Andrew Ducat: Woolwich Arsenal 1905-1912 and Surrey 1906-1931. Ducat was a right-half and batsman. 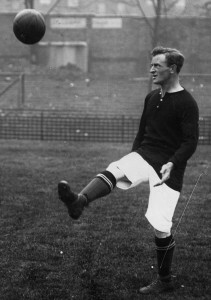 He gained six England Football caps between 1910-1920, and three of these, including his debut, were made while at Arsenal. He appeared for England once in the 1921 Ashes series, and amassed over 400 games for Surrey with whom he won the County Championship in 1914. He has the distinction of being the only person to die while at the crease at Lords as he was batting for the Surrey Home Guard in 1942. Arthur Milton: Arsenal 1950-1955 and Gloucestershire 1948-1974. A winger and opening bat. 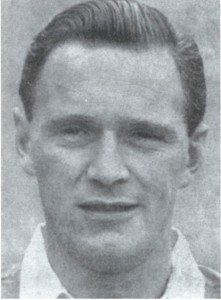 Milton gained one English football cap in 1951, and then played six times for the England cricket side in 1958-1959. A product of the Arsenal youth system he helped win the League title in 1953 and scored many runs for Gloucester until retiring aged 46 after making over 600 first class appearances. 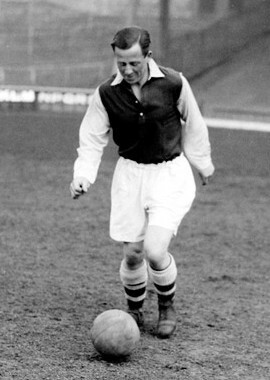 Joe Hulme: Arsenal 1926-1938 and Middlesex 1929-1939. Winger and batting all-rounder. 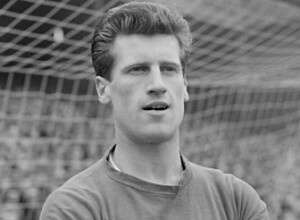 Hulme played nine times for England as a football international. This was a very small amount considering he was a central figure in the great Arsenal teams of the 193os. At Arsenal he won 4 League title medals and 2 FA Cup winner medals, which was pretty impressive as he was also a useful all rounder for Middlesex making 225 first class appearances in the same period. 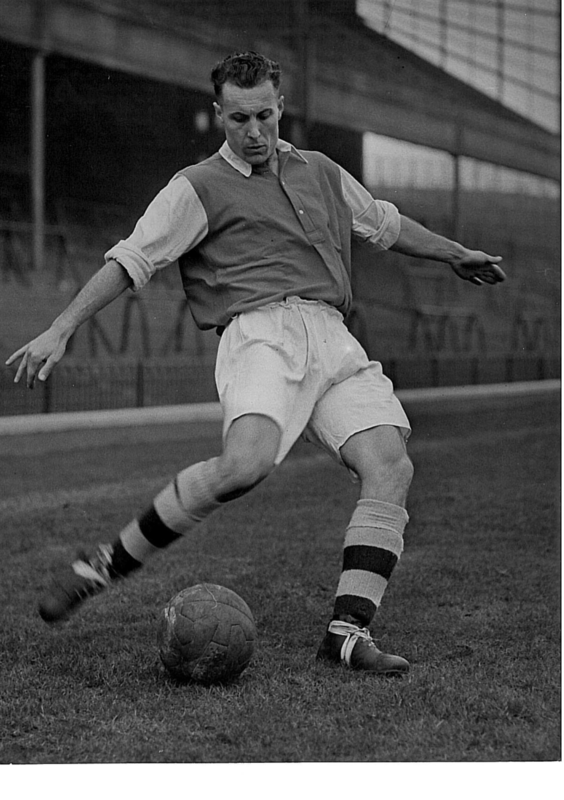 Leslie Compton: Arsenal 1932-1952 and Middlesex 1938-1956. Compton started his football career as a full-back before converting to a centre-half, and was wicket-keeper. He made two England national team appearances in 1950. In his time at Arsenal, which was badly affected by World War 2, he won medals for the League triumph in 1948 and FA Cup win in 1950. Competent behind the stumps he gained County Championship winners medals in 1947 and 1949 for Middlesex and played 274 times for them. 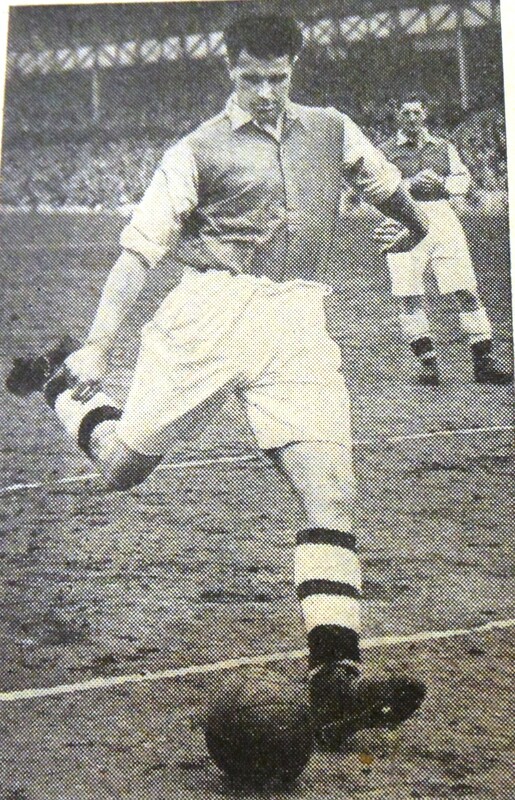 Ted Drake: Arsenal 1934-1945 and Hampshire 1931-1936. This renowned prolific centre-forward played for England five times between 1934 and 1938. He is famed for his seven goals in one match against Aston Villa in 1936, and a season earlier had scored 42 league goals during 1934-35 which is still the club record tally. Additionally, he scored the winner in the 1936 FA cup final and won 2 League title medals. He played as a batsman for Hampshire on 16 occasions. 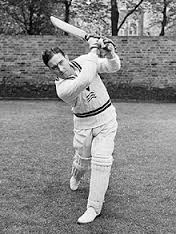 Denis Compton: Arsenal 1936-1950 and Middlesex 1936-1958. A winger and batsman. Many believe that Compton is one of the dual code elite, and while unquestionably one of the all time great England cricketers his England football appearances were all during World War 2, so do not count as full caps. A supremely gifted batsman he played 78 times between 1937-1957 for England, and scored over a century of hundreds. 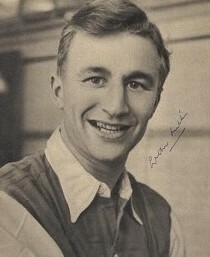 In his time at Arsenal he won medals for the League triumph in 1948 and FA Cup win in 1950. And like his brother gained a County Championship winners medal in 1947 and 1949 for Middlesex. 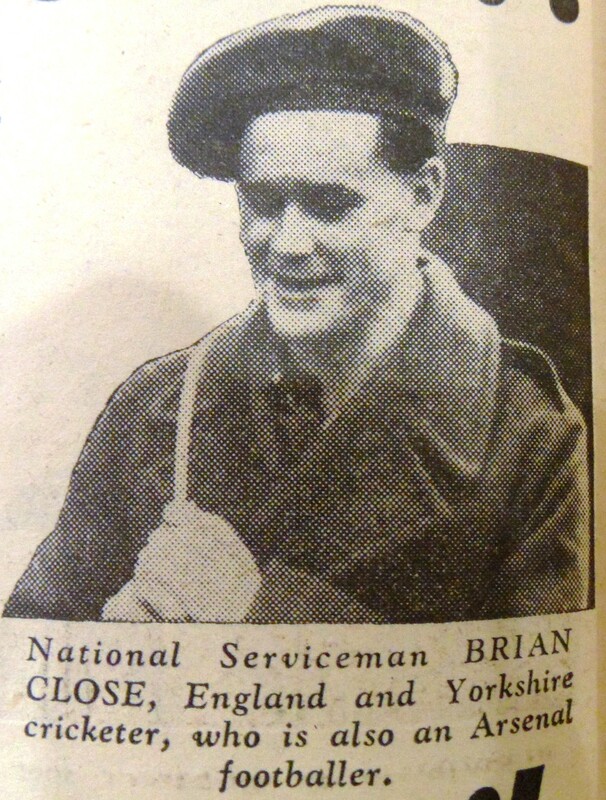 Brian Close: Arsenal 1950-1952 and Yorkshire and Somerset 1949-1977. 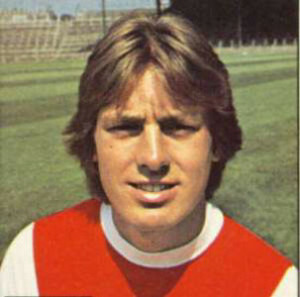 This inside-forward and all-rounder could be seen as a surprise inclusion but he was an Arsenal player as this clip from All Football shows, albeit in the reserves. An England captain who played 22 times for his country between 1949 and 1976, he was famously brought out of retirement to face the full force of the West Indies pace attack in 1976 at the age of 45. Ironically, on his debut he was the youngest England player selected at the age of 18. He went on to win four County Championship medals with Yorkshire, and was at Somerset to oversee the rise of Ian Botham. Ian Gould: Arsenal 1971-74 and Middlesex and Sussex 1975-1990. A youth team goalkeeper and wicket-keeper, he makes this international list by virtue of playing in 18 one day internationals for England. He won the County Championship with Middlesex three times and he has been a jovial and respected umpire for many years, being well known in cricket circles as “Gunner” Gould. Conversely, it would be fair to say that his Arsenal career barely troubled the scorers. Edwin Leaney: Royal Arsenal 1890-91 and Kent 1892. 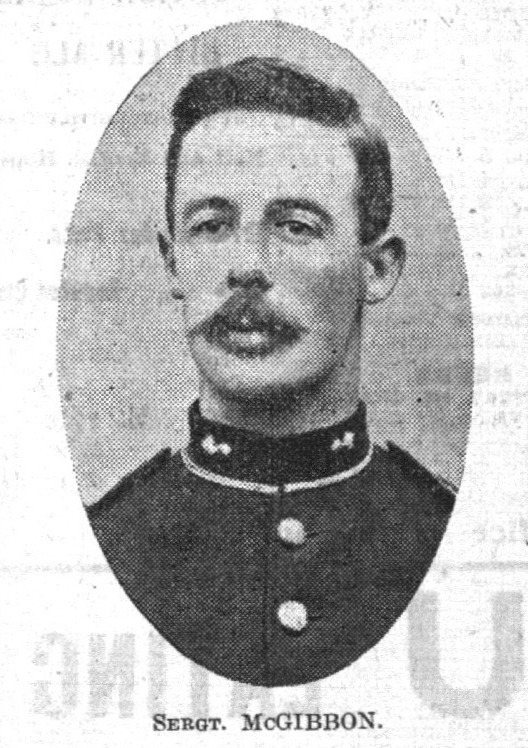 A goalkeeper and wicket-keeper, he played a few games for the Royal Arsenal reserves and six times for Kent. 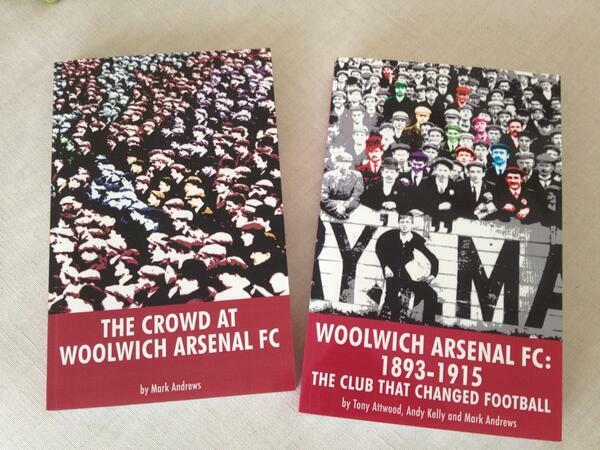 Harry Storer: Woolwich Arsenal 1894-1895 and Derbyshire 1895. A goalkeeper and batsman. 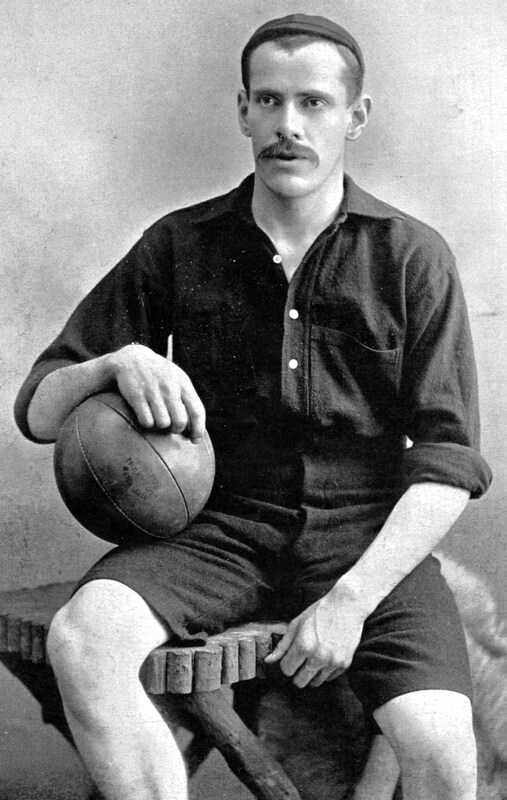 Storer played 41 first class games for Woolwich Arsenal before being suspended for four weeks after crossing the directors and was sold to Liverpool in late 1895. He had played for Derbyshire in six matches whilst an Arsenal player. Charles McGibbon: Woolwich Arsenal 1905-6 & 1910 and Hampshire 1919. A centre-forward and all-rounder. Much maligned by the Woolwich crowd, it was his three goals in his only four games for the team that saved the club from relegation in 1910. In 1919 he played once for Hampshire. Joe North: Arsenal 1919-1922 and Middlesex 1923-1927. A centre forward and slow-medium bowler. North played 23 top flight games for the Gunners, though mainly featured in the reserves, and 27 games for Middlesex. In World War 1 he was awarded the Military Medal for bravery. 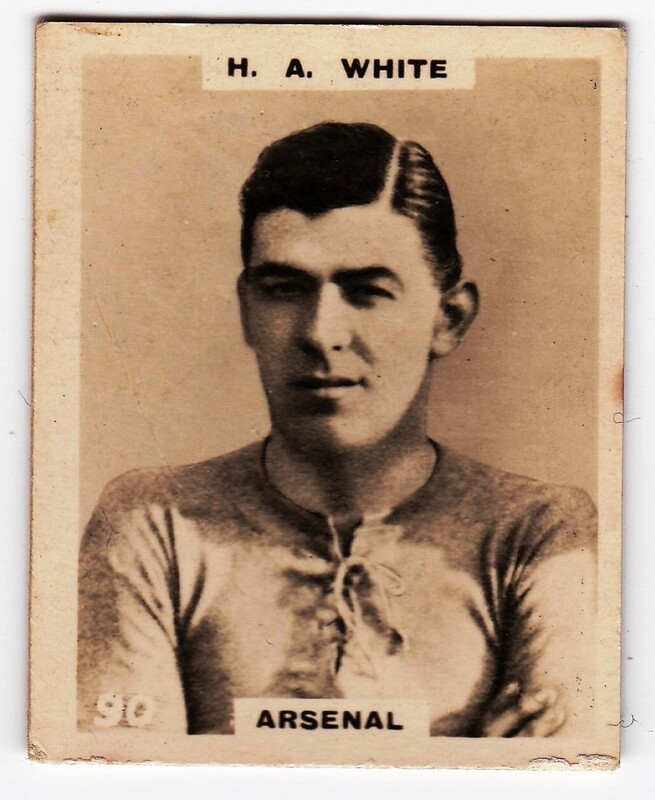 Henry White: Arsenal 1919-1923 and Warwickshire 1923. A centre-forward and batsman, White appeared in 109 first class games for Arsenal, denying North a place in the team on many occasions. 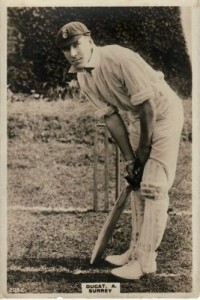 In 1923 he played eight times for Warwickshire. 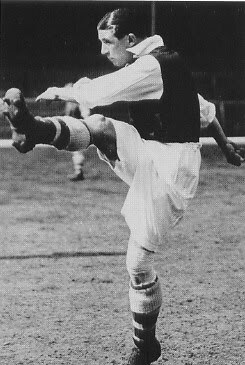 George Cox: Arsenal 1933-1936 and Sussex 1931-1961. Centre-forward and a batsman. Cox scored fifty tons in his long career of 455 first class matches. At Arsenal he was mainly a reserve during the golden era, though he did appear seven times in the first team. Jimmy Gray: Arsenal 1947-1951 and Hampshire 1948-1966. Reserve full back and a batting all-rounder. Gray was an opener who played 458 first class games for Hampshire, but only appeared a few times for the reserves at Highbury. Don Roper: Arsenal 1947-1957 and Hampshire 1947. A forward and briefly the club captain between 18 September 1955 and 8 January 1956. Roper was, in 1948 and 1953, an integral part the Arsenal front line as the club won the League title in both these seasons. He played 321 competitive games for the Gunners and as a batsman in one first class game for Hampshire. Don Bennett: Arsenal 1950-1959 and Middlesex 1950-1968. 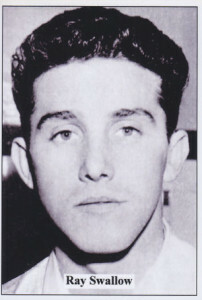 Bennett was a reserve winger and full-back who never appeared in a competitive first team game for the club. However he was a bowling all-rounder of some repute and he played 404 first class matches for Middlesex. Additionally, he was a highly respected coach for the County until 1997. Jim Standen: Arsenal 1953-1960 and Worcester 1959-1970. A goalkeeper and medium/fast bowler. Standen had the misfortune to be a goalkeeper at Arsenal at the same time as the incomparable Jack Kelsey. Nonetheless he played 38 times for the first team. He won a County Championship medal in 1964 with Worcestershire for whom he played 133 first class matches. Ray Swallow: Arsenal 1955-1958 and Derbyshire 1959-1963. A product of the youth team, Swallow played 13 competitive first team matches for Arsenal mainly as a wing half. He moved to Derby FC and while there also played for the Derbyshire cricket team as an opening batsman in 38 first class matches. 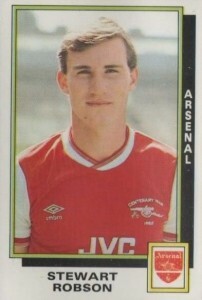 Stewart Robson: Arsenal 1981-87. 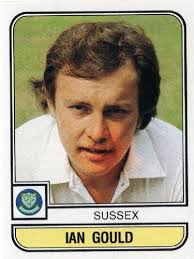 Robson a midfielder in the pre-George Graham era, who had his career ravaged by injury, turned out for Essex Seconds in the 1980s as a batsman and was good enough to forge a county cricket career if he hadn’t chosen football. Harry “Joe” Murrell: Woolwich Arsenal 1898-1900 and Kent & Middlesex 1899-1926. A full-back he appeared on the Manor Ground in the Boer War era in half a dozen League matches. A Kent player whilst at Arsenal he moved to Middlesex in 1906 where he kept wicket for two decades helping them win two County Championships. 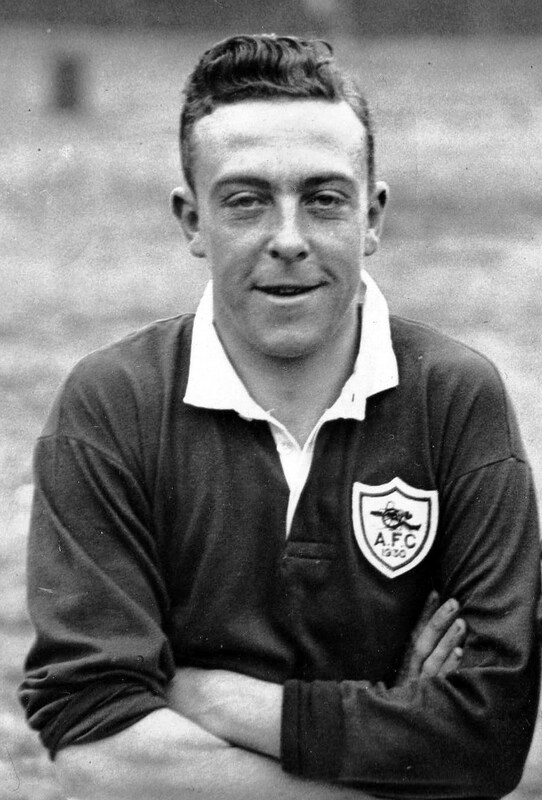 William “Tagge” Webster: Arsenal 1935-37 and Middlesex 1930-47. He played a handful of games in the reserves between 1935-1937 as an amateur, & also appeared in England Amateur Internationals. An all-rounder in 45 first class matches for Middlesex, after retirement he was MCC President and a long term committeeman. Ernie Stanley: Arsenal after WW2 and Essex 1950-52. Played mainly for the Arsenal “A” team after the war. On 16 September 1950 he appeared for the A team against a Colchester Reserves team who included my father’s cousin, ex-Sunderland wartime keeper Barney Bircham. A right handed batsman he appeared in 13 first class games for Essex. Ralph Prouton: Arsenal after WW2 and Hampshire 1949-54. Played for the Arsenal reserves as wing half in the 1950s. He was the Hampshire wicketkeeper in 52 first class games between 1949-54. On drinks duty with Robson.